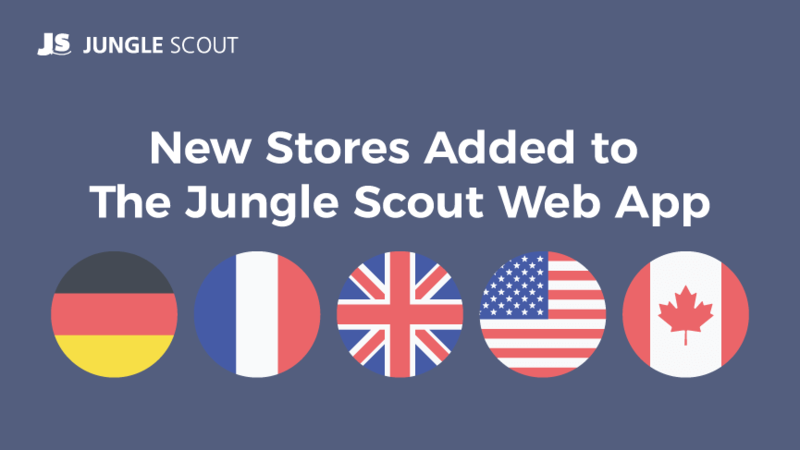 New marketplace support for the Jungle Scout Web App is now LIVE! You can now totally geek out over the data from products in the UK, France, Germany and Canadian marketplaces. This allows you to expand your Amazon product research to new international marketplaces, so you can expand your Amazon business and make more money! The best part is, there is no need for you to do anything different on your end. The same Web App that has helped thousands of sellers in America is now loaded with millions more products in new marketplaces. In short, you can now supercharge your research across multiple marketplaces with just one click. This is one of the most common questions we get every day. Considering that there are millions of niches and keywords, and within each of those thousands of potential product ideas, in multiple stores, I would say that there is ample opportunity to take advantage of! And we are here to help you sift through it all, making it easier than ever to find opportunities on Amazon, no matter the marketplace. With the addition of the new stores also comes the addition of our industry leading sales estimates and algorithms for all 5 stores. We are the only company in the industry that has marketplace specific algorithms for all 5 stores. We have spent months and months tracking and perfecting the algorithms, not releasing them until now. Thank you for being patient with us, allowing us to ensure the accuracy you expect. Now get to it and start checking into opportunities in all the marketplaces feeling confident of the information you are browsing! How Accurate Are Your Sales Estimates? We have a full-time data scientist on our team to ensure that we have the most up-to-date and accurate algorithms. Greg has written about how these sales volume estimates are formulated before, you can read about that here. But here’s the gist: we gather tens of millions of data points from Amazon (this includes the 5 countries that we currently support and more that we will support soon) and continuously run regression analyses to inform our estimate algorithms. Our goal is to be +/- 10% of the actual monthly sales volume. It is important to note though that our sales estimates are based on a snapshot in time, based on the Best Seller Rank of the main category. If you want 99% accurate sales estimates, we have you covered with the Web App’s Product Tracker. Simply add any product to the Tracker, and Jungle Scout will automatically track key metrics like average price, Best Seller Rank, Daily Revenue, and more. It’s pretty amazing! FBA Fees are a very important factor in considering your product’s profitability possibilities. These fees are determined by Amazon and are based on a number of factors. We take all those into consideration when giving you our net estimates. This helps you know how much will be in your pocket at the end of the day. We are incredibly excited to announce this expansion and help sellers understand new marketplaces. Stay tuned as we also dive deeper into these opportunities and share what we learn. PS: If you do not have the Jungle Scout web app you can get it here.